I am a scholar of colonial and post-1947 South Asian art, architecture, and visual culture. I also chair the Advanced Academic Programs in Museum Studies and Cultural Heritage Management at Johns Hopkins. 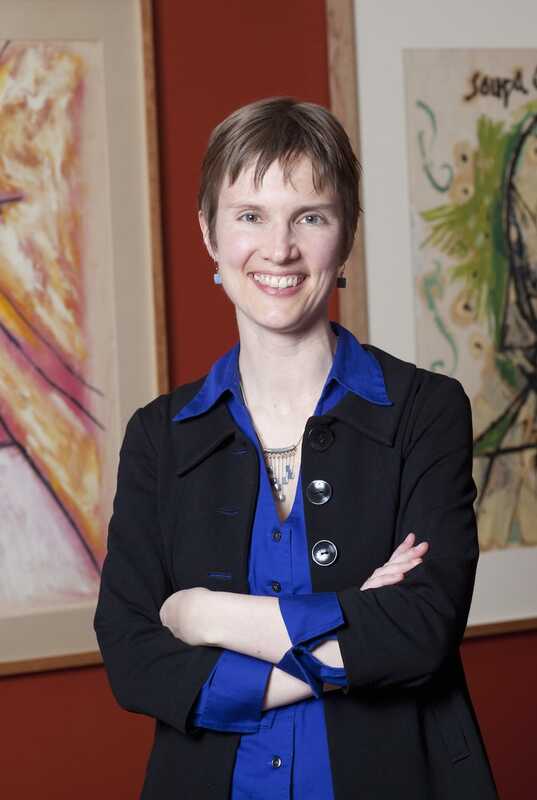 I have served as a consultant and a curator of modern and contemporary Indian art for the Peabody Essex Museum, the Walters Art Museum, and the Shelley and Donald Rubin Foundation. My academic career has enabled me to teach across North America and in the UK, at institutions including St. Mary’s College of Maryland, Swansea University, Georgetown University, and George Washington University. I have had the privilege of speaking to a wide range of audiences, at venues from the Art Seminar Group of Baltimore to the Clark Art Institute and the National Museum of Korea. I received my BA in the History of Art from Pomona College and my PhD in South Asian and Islamic Art History from the University of Minnesota, working with both Frederick M. Asher and Catherine B. Asher. Throughout my career in academia, I have actively developed undergraduate courses in Asian and Islamic art, created innovative approaches to the art history survey, and led seminars in Asian studies, gender studies, museum studies, postcolonial theory, film studies, and art historical methodology. My research engages in the history of art, architecture, and visual culture of South Asia from the late eighteenth century to the present. I am particularly interested in the tensions and struggles that emerge within visual culture at moments that present themselves as transitional (but usually do not constitute a true “break”)—the early British presence on the subcontinent, the anti-colonial movement of the early twentieth century, the decades after India’s independence in 1947, and the economic and political machinations of the long 1980s. I’ve written on urban space, architecture, cemeteries, amateur lithographs, popular painting, photography, modernist painting and sculpture, film, television, and museum display. Throughout my work I am attentive to the interplay between space and the activities it shapes and enables, as well as the temporality of movement, performance, and duration as embodied by textiles, photographs, paintings, and people. At the core of each of these engagements lies an attentive commitment to visual culture in its materiality, its instability, its active role for history, and its reconstitution in different epistemes under changing political demands. I welcome graduate students who wish to pursue questions related to colonial, modern, and contemporary South Asian art, architecture, and visual culture and also those interested in the emergent area of the global modern. Rethinking Place in South Asian and Islamic Art, 1500–present. Co-edited with Deborah Hutton. New York: Routledge Publications, 2016. 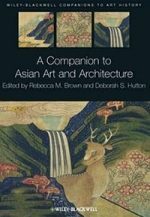 A Companion to Asian Art and Architecture. Co-edited with Deborah Hutton. London & New York: Wiley-Blackwell Publications, 2011 (paperback edition 2015). Goddess, Lion, Peasant, Priest: Modern and Contemporary Indian Art from the Shelley and Donald Rubin Collection. Exhibition catalog, 2011. 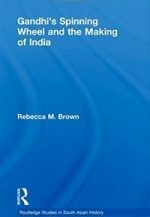 Gandhi’s Spinning Wheel and the Making of India. London: Routledge, 2010 (paperback edition 2012). 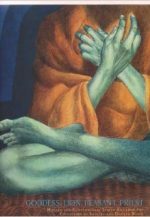 Art for a Modern India, 1947–1980. Durham: Duke University Press, 2009. 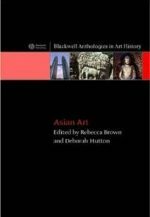 Asian Art: An Anthology. Co-edited with Deborah Hutton. London & New York: Blackwell Publications, 2006. “To Pick Up a Brush: A Double-take, Gieve Patel, and Indian Art of the 1980s.” Third Text 31.2–3 (2017): 261–88. “Painting Colonial and Modern at the Rashtrapati Bhavan.” Catalog essay (6000 words) and 47 catalog entries (16000 words). In Partha Mitter and Naman Ahuja, eds. The Arts and Interiors of Rashtrapati Bhavan: Lutyens and Beyond. New Delhi: Government Publications Division, 2016, 160–235. “A Distant Contemporary: Indian Twentieth-Century Art in the Festival of India.” Art Bulletin 96.3 (September 2014). “Colonial Polyrhythm: Imaging Action in the Early Nineteenth Century.” Visual Anthropology 26.4 (2014): 269–97. 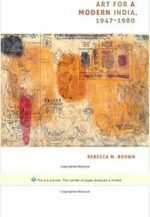 “Revivalism, Modernism, and Internationalism: Finding the Old in the New India.” In A New India? edited by Anthony D’Costa, 151–78. London: Anthem Press, 2010. “P.T. 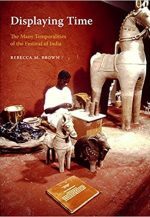 Reddy, Neo-Tantrism, and Modern Indian Art.” Art Journal 64.4 (Winter 2005): 26–49. “The Cemeteries and the Suburbs: Patna’s Challenges to the Colonial City in South Asia.” The Journal of Urban History 29.2 (January 2003): 151–73.